If I want to start blogging for a living I must increase the amount of money I’m making online. I have a few ways in which I plan on accomplishing this. First I will have to take a look at my current streams of income and determine the best most affective way to increase the generating revenues. The bottom line right now is my Debt out weighs the amount of money I’m making online and it’s so substantial that if I was to quit my career I would literally be bankrupt. With that said I have come to the conclusion that I will not be able to be self employed and blogging for a living for a minimum of three more years. I figure by the time three years pass theincome from my online activities would have increased and my overall debt reduced. I have OSAP and an SUV payment that is hitting my bank hard right now and both will be paid off in three years. I imagine your thinking three years is a long time when in all reality its a very realistic goal I’m setting for myself. I have taken all the things needed to make an educated assumptions based on my current level of income and debt repayment. Trust me I was not happy to reach this decision last night as I was hoping it would be reachable at a faster rate. Unless I see a dramatic increase in online income it’s not looking so good. So right now I’m strapped in and ready for the three year roller coaster ride to self employment. At this point I only have one thing to do and that is to re evaluate the income sources I currently have and fine ways to increase them. My next few articles will be based on this fact and we will discuss how I can successfully increase the generating income from all my websites. What’s your thoughts on my plans. If you were in the same position would you do things similar or do you have a more aggressive attitude? Do you have any other suggestions on how I can achieve my goal to make a living from blogging? I’m in that grey area where I’m trying to balance a full time job while working on side projects to boost my income enough to transition into the online only world. Kristi, you make such a s great point. I blog about 30% of my weeks time and work about 50%. If I was able to focus my energy on blogging and give 80% I’m sure like you I would have more success. That was food for thought. I It’s amazing but I haven’t even thought about it like that. Thanks again for stopping by the last few days it’s great having you around. Hey Brian, I see that you want to make money blogging for a living. The same here with me. My approach on this is to gain as much traffic as possible. You know the tight situation that I am in and hope to get out of it soon. I want to gain as much traffic as possible and I’m tying to do this by guest posting, blog commenting and by the use of social media. After I gain the traffic I plan to turn that traffic into cash. Sounds simple but it’s a lot of hard work. But in the end it will be well worth it. I would say that once you have the traffic then the money will come, with the right approach to it. 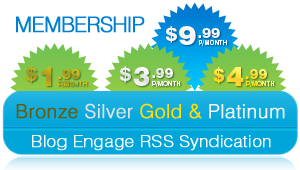 Whether via affiliate marketing, PPC ads, selling ads, coaching services, email marketing. Hi there Kharim, It’s really nice having you visit this week I hope it continues I’m always happy to see you visiting. It seems we both have similar goals online and I bet three’s so many others out there with the same dreams. Maybe as we move forward we can continue helping one another. I like how your mind thinks and traffic is the key to success. I try to pay off debt as quickly as possible. For example, when I got my mortgage I opted for weekly payments which dropped my mortgage from 25 years to 21 years without a single payment. For other debt, I try to repay as much as possible as quickly as I can. The less interest I pay, the better. At times I have to forgo some “want items” to pay off some debt. The “want items” can come later. My blog is self-sufficient in that I make more than it costs, but I’m hoping to increase the income it generates to also cover my mortgage payments. Paul, between my education and other purchases I’ve found myself in a tight predicament and without keeping my job I would easily go bankrupt. So to be more like you I am trying to pay off my debt over the next three years. Then it will be time to start focusing on my own career and goals. I think for now I’m going to focus on my career and this will allow me to pay off the majority of m debt. but your right I ave to diversify and start looking at other methods of making money online. It amazes me how many bloggers are dealing with this issue right now. I recently came to the conclusion that something has to change for my blog as well…and I am nowhere near the rock star status of you my friend. I think in the long run (3 yrs) you will be much more fulfilled doing this full time. It may seem like forever, but remember that 1st day of highschool???? How quickly we all got to the here and now from there. As long as you keep your eye on the prize and NEVER EVER give up….you will see that reward in the end. Hi Lisa it’s nice having you stop by and commenting on my article. Your so right how time flies by it seems we forget that when were stuck in the moment. I guess three years is a realistic look at when I can start blogging for a living but who knows what life will bring. Yeah Brian, once again I think you hit the nail of the proverbial head. So many people think that it’s so easy to make money blogging. Where in reality it is very hard. But then again, money does not grow on trees. Three years is a good estimate, But I think that it could take as long as five years. It seems to boil down to a few things. Traffic, Readership and Reach. Just on the traffic side, I think your goal in three years time should be about 2000 visits per day. That’s a big ask. But it kind of puts things in perspective. Finding ans streamlining your revenue streams is a good thing. But it helps squat with out traffic. My suggestion, is build the blog and traffic first. Then look at revenue. From your comments this week Robert I think the best piece advice you gave is build your blog and money will come later. It’s quit valuable information. Hey Brian! I can empathize with your situation. However, I would have to say it will probably be well more than three years before I’m able to make such a transition. Keep building your community, though, and the rest will come. Press on, my friend. Hi Tom welcome to my blog it’s a pleasure meeting you. thanks so much for the support. 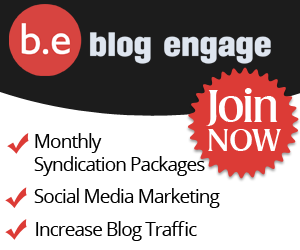 Your right about building up blog engage this just may be my key to online success. I think you’ve taken a realistic approach to this, but I would also be aggressive toward any viable opportunities that may come about in an attempt to shorten the timeline. I left the corporate world on 2003 but freelance as a Facilities Manager, working a schedule that allows me to build my online ventures while continuing to bring in a baseline salary from which to build. We all know it’s not easy going full-time online, but that seems to be the goal of many, including yours truly. I’m very optimistic about succeeding and I think that’s a good deal of making it happen, knowing that you’ll go all in to get there. So, we have to keep plugging away and be cognizant of any opportunities to accelerate the time it takes to reach the ultimate goal. The good news is that opportunities will always arise as the technologies continue to evolve. Many are unseen today, which is why we have to keep out eyes peeled and hang in there. Hi Jimi, your right I need to keep an eye open for opportunities to improve the debt reduction or other many money opportunities. Right now I’m going to ficus on building my goals and setting milestones in which I need to pass. I think I have something really good with the RSS program at blog engage so my goals right now is to continue building on that business and continue growing as I have over the past three months. Your feedback and experience is always appreciated. It’s nice having you visit daily it’s greatly appreciated. Go for it, Brian ! I think that you can accomplish your goal. Moreover this debt will be helpful to you because it will allow you to stay focused and get things done. Anyways, I wish you luck for the future, Brian ! Hello Jeevan, thanks so much for stopping by and posting your thoughts. I also appreciate the positive feedback and the fact that you believe I can do it. the repayment of my debt is of most importance and will be looked at with aggressive behavior to get it paid off. Like Kristi I also have a full time job as mentioned previously and only blog on the side for fun and to earn a few extra bucks. I tell people “Most hobbies you pay money into, but blogging is one hobby that I actually make money from”. I use my blogging money mostly for family fun stuff, after all I have to justify to my family why I work a full time job and then take some extra hours blogging, so I use my blogging money to take family to dinners, movies…etc. Some of it I use to buy fun stuff for me like games but until it earns more it just gets absorbed into family activities. Justin your the best dad ever and a really great friend. I appreciate you visiting the blog and taking the time to comment. I think it’s amazing how you treat your family to fun events with your profits. Your a great guy! Brian, I think the best thing you can do for your blogging career is to pay off your debt and do it as fast as you can. I’m a huge Dave Ramsey fan we my family is going though his baby steps right now. Once you are debt free, you can concentrate on your blogging. Maybe check out Dave Ramsey and with his ideas you can get your debt paid off even faster. You know I’ve heard of Dave I think I joined a tech forum of his at one time to get some support on my pc. I’ll have to check it out perhaps I can get out of debt sooner than I thought. Thanks so much for the feedback Jason. 3 years is not bad when it comes to becoming your own boss and your definitely going about it the right way. Which is pretty much you looked at the facts and came up with your own business plan. Also in the next 3 years it will also allow you to deal with any new changes that come up in the on-line world. What works now may not be profitable down the road. That way your not backed into a corner if things change. Hey Tatum that’s a great point. looking towards the future is always a great idea. What is a profitable business today may not be in the next 12 – 24 months. That’s for the feedback and making me thing once again! Brian, it’s commendable that you have a debt-reduction plan you are moving on. That is really the key to financial independence — because if you owe someone money, they own you. Good luck on moving to full-time online income. We’ve been working at home together exclusively since 2003. It’s quite an adventure. Hello Alison it’s always nice to see you visiting my blog. Your right if I owe money to someone then they own me. I have two credit card that need to get paid off but dam they make it so hard to get out of debt. Hi Brian – I blog on the side as well, but I am a blog consultant by trade, so you could say that some of that comes back to me in social proof and other things. It’s important to do what you’re doing and face reality. I have debt, too, and realized that the length of time it would take to make a full-time living exceeded the length of time I could wait, so I made sure to have work coming in outside of the blog. Hi Tia thanks again for visiting my blog so much I really like having you around and posting comments. I agree getting out of debt is so important for my success. I was just n your blog reading your comment luv article and wow it opened my eyes. I can’t believe they didn’t have a blog and it’s a business. Like you, we have debt which isn’t to bad My wife and I put a spending plan in place that puts paying off the debt before I can buy anything fun or spend money on my website and spend cash for everything and never take out a loan (except for a house) again. But whatever money I make online from the website, contests and through consulting gigs I can put a good portion back into the website and the rest goes to the debt. I plan on making a living from blogging or at least have it as a second job so I won’t have to spend to much time at a office across town, but I can work from home. For me, think I am about 3 – 4 years away from this goal and thats mainly because we have to pay for the debt first and I need to find a full time job and stop doing all the part-time and free work I do bring in more money. Once I find that job, I plan to spend about 10 to 20 hours a week working on my on and offline ventures a week. This is about what I would do if I took on a second job. If the work I do makes enough that I can take it full time I will. So while my website is mostly a hobby right now, I am spending time researching, learning, networking, and building my social media network so when its time move into part-time mode I will be ready. That’s a great plan James. When you said 3-4 years I was thinking wow by then we would have known one another for almost 7 or 8 years. I hope everything works out for you and you can earn from your blog. I know I’m hoping to have success in this area. I think you have the capability and skills to make it big in the blogging world. Well, since currently you are in a predicament of paying out your debt, I think your 3 years wait plan is good enough. Till then you could keep your full time job, try to payout your debts and try to increase your online income. During these 3 years you should try your hands on new source of income as well as sharpen your skill. What ever you will do, the whole blogging community is always with you. Best of luck with your endeavors. Hi Shiva, it’s amazing how much it means when you say the community is behind me because I need you for my success. I’ve worked so hard to get where I am today and if I have the support of everyone it’s only going to increase the speed or rate in which I reach success. Thanks so much for visiting and I hope to see you coming by regularly.